Getting customers can be a hassle for moving companies. They depend on local and referral advertisement that does not fetch desired conversions. When they opt for digital marketing starting with local reach, it can bring them easy conversions. You must know, that the online search results are dynamic even for a moving company advertising. Upgrade your SEO strategies to stay on top of the game. Using a combination of different patterns of keywords, you can get more leads through digital advertising. Most of the users research online to find a moving company for relocating within the same city or nationwide. Having a digital presence and investing in digital marketing strategies to promote moving business online does not require you to have a hefty budget for marketing. You can follow a few easy tips to get started with doing the digital marketing yourself before you hire a professional SEO service to promote your business. You can choose the best design layout and create landing pages that bring conversions. The objective of using digital marketing tools is to ensure there is a flow of customers throughout the year. Moving and relocation is a hassle for any user. They are stuck with anxiety pangs to make a list of items to pack. It also includes having all the transfer papers and documentation in place. Moving cannot be done on an ad-hoc basis. Most of the moving companies provide backloading and same day relocation service. Using free digital tools, moving companies can promote the advantages of using roster of their services. This article gives you valuable insights on how to run a successful moving company. The prerequisite to get started with digital advertising for a business, is to have a business website first. Ensure that you choose a layout that gets better user experience and viewership. It also goes to say that the page load times and other aspects like color scheme, content, font, etc must be as per the webmaster guidelines. As a rule of thumb, the moving business is not easy. This is because there is no regular flow or request of relocation. If you have been counting on the classic use of yellow pages, you must know that, that route leads to nowhere. You cannot expect speedy results like what you get from different demographics searching for your business online. Moving company marketing can generate more leads by creating a business website and a blog to start with. You can blog about your services in detail. Your business website can display complete information about your timings, contact details, and services. It is easier to find your business when you have a website with complete information displayed. Home page, services and contact page, and landing page must always be optimized. Displaying diverse content in text, images, video, and mixed media format can keep the users engaged. Blogs, links, and social media can be used creatively to represent what your business does. Any specialized services, upgrades in pricing, and policies can be notified on the website. Reviews and testimonials can be displayed for users to make an informed decision. Targeted audience can be reached via blogs and other social media tools. Make relevant videos that describe how to pack items, how relocation works, etc and create a knowledge base. Customers no more refer local directories like yellow pages. For local services they depend on Google search and choose from the first five listings that get displayed. The way you advertise on Google and other search engines using keywords and phrases can influence the organic traffic generated for your website. Choose keywords based on the buying intent of customers, who purchase items like cardboard boxes or wrapping materials, and also search intent for moving. Add the name of your location in the keywords that you use, so it becomes easier for customers in your local area to find you. Marketing for moving companies is possible through Google marketing and advertising tools. Verify your website with Google so it gets crawled and indexed. List your local phone number with Google instead of the toll free number. Choose a category that is relevant to your business when you display an online listing of your business. Use only 100-200 words to describe your business. Don’t forget to use meta titles and descriptions. Ensure that every information about your contact and timings is same where you advertise it online. Choose high quality images with a file size ranging between 10k to 50k. Do not choose fancy images that are not from your local location. Create links from authoritative websites. Use free or premium online tools to track your website performance. Content that you publish must be original, and non plagiarized. Publish well-researched, error free, and relevant content online. You can monitor your competition and upgrade your website for more conversions. If you know how to run a successful a successful moving company, you have already reached a benchmark. Moving company advertising when done through digital tools can add a feather in the cap of your business and help you get a flow of customers throughout the year. Customers usually have cited dissatisfactory experiences with moving companies. When they see that you provide not only high quality professional service, but also information that is useful to them, it can make them a bigger fan of your business. Always ask for the feedback of your customers so you know if they are satisfied or not. Based on their feedback you can improvise your services. You can also create business stationery, business cards, brochures, and give it for free to your customers. A customer who is happy is highly likely to refer your business. Always tell your happy customers to refer your business and send them reminders and mailers on various occasions. Urban, dense, and crowded locations are ideal to display ads that are whimsical, creative, have a shock or a disruptive value. Address relocation issues with these marketing gimmicks and bring more conversions. It also makes the customers fall in love with your brand. Keep your business information precise when you create marketing posters that depict your business. This is one of the effective tactics in marketing for moving companies. Speak more with creative content than words using these marketing techniques. Make your audience curious about your business and mesmerize them. Make videos of these marketing techniques and post them on your blogs and social media pages. You can spread the tentacles of your business by getting in touch with realtors, online and offline. Moving company marketing strategies can be implemented locally and digitally.Doing this can give your business a boost throughout the year. Customers who contact realtors about new homes and rentals can use your service when they relocate. This way,you can use your reviews and testimonials to show relators that you provide quality service and they can refer you their clients. For residential and commercial moving, your business will be their point of contact through the relators. You can also ask them to list your business in their listings, so customers can get in touch with you directly. Customers who are vacationing can use the backloading service from you company. Get in touch with as many businesses as possible that are relevant to moving companies and can use your services. The offers and discounts that a moving company is running on various occasions can be displayed on websites like Groupon and other coupon companies. This helps customers to search for an affordable option for moving. You can send updates on this website as often as you can and ensure that all the information is updated. This is a valuable tip on how to market a moving company. 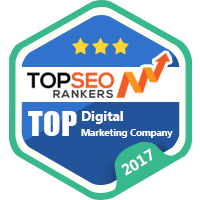 You cannot implement complete SEO strategies for your company that a professional company can do. After you build your online presence and lay all the foundations, hire a SEO company to create online campaigns, drive traffic, and take care of the metrics for your company. This can lessen the burden on your shoulders, and get better conversions and ROI. Moving companies have an advantage of collaborating with businesses that deal with real estate, logistics, travel, and any other business that deals with shipping and moving items. By combining digital marketing strategies along with other marketing strategies, moving companies can get their business moving throughout the year.